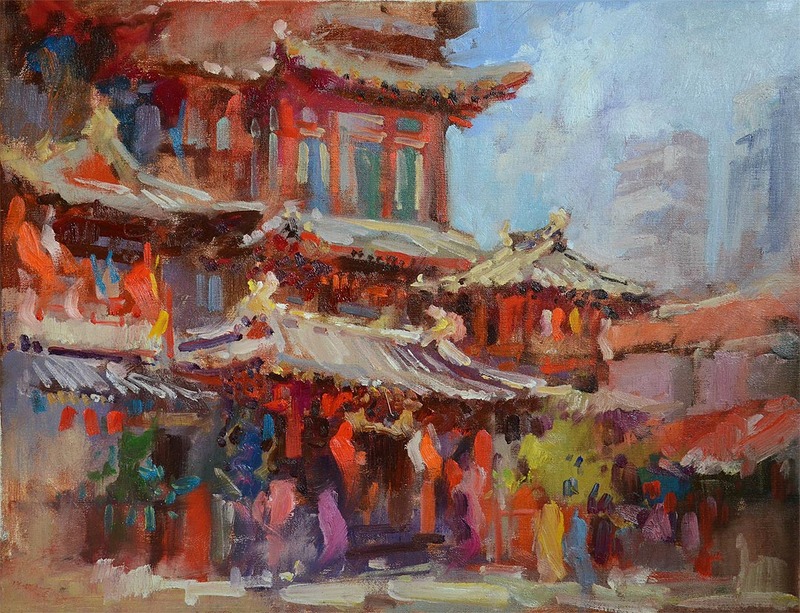 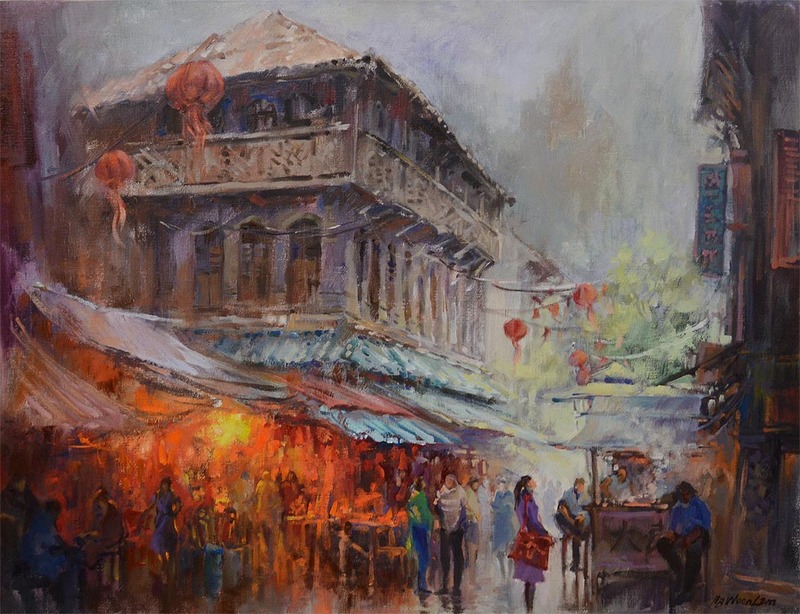 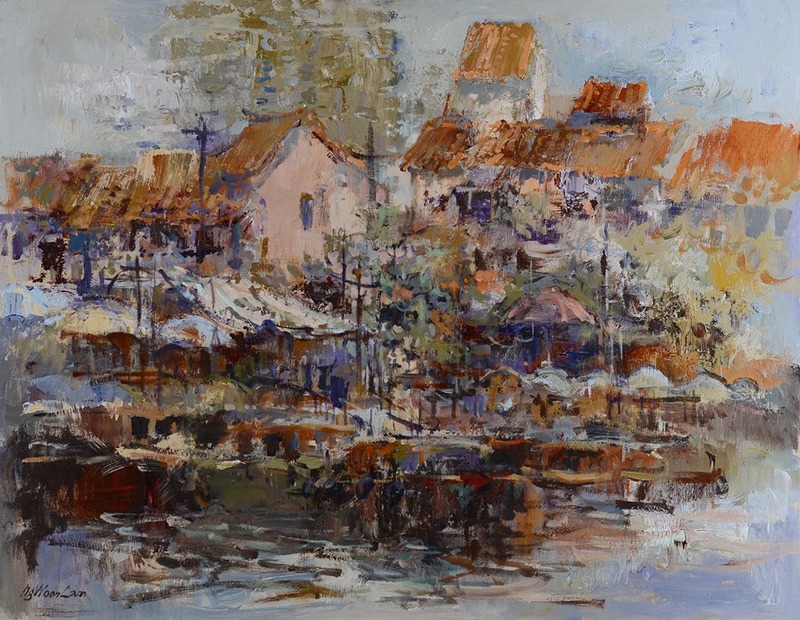 Singapore-born American painter Ng Woon Lam /黄运南 was once an engineer with Bachelor degree from NTU and Master in Science from NUS. 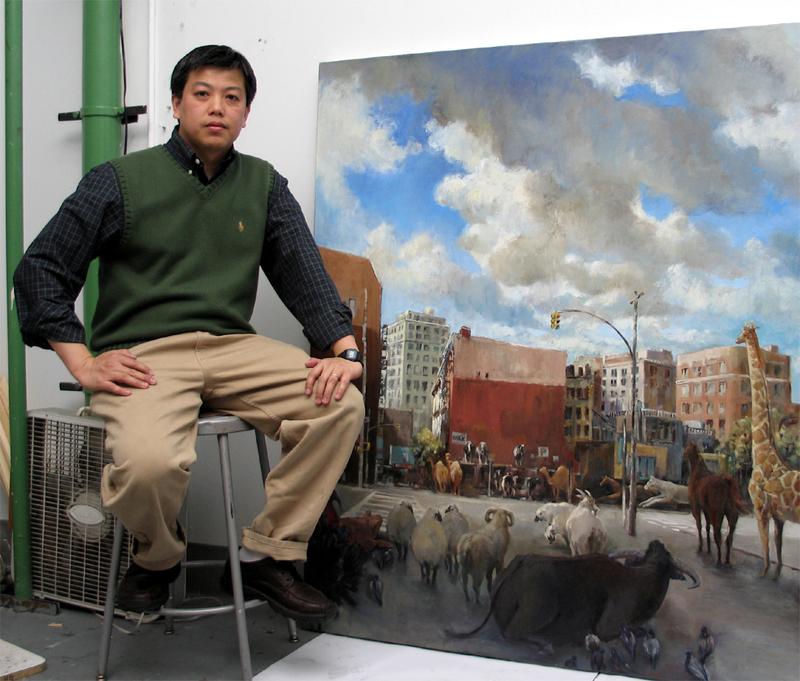 He neverthelss decides to take up the challange of becoming a full time artist to accomplish his passion. 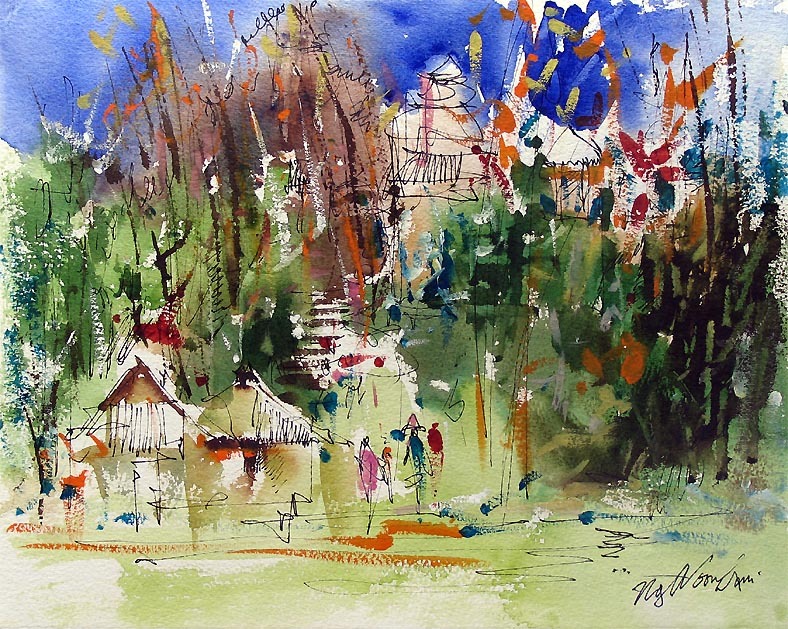 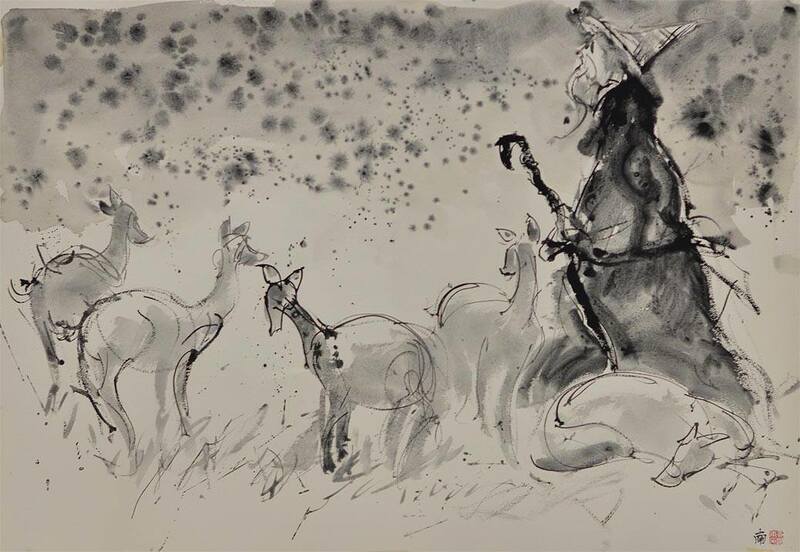 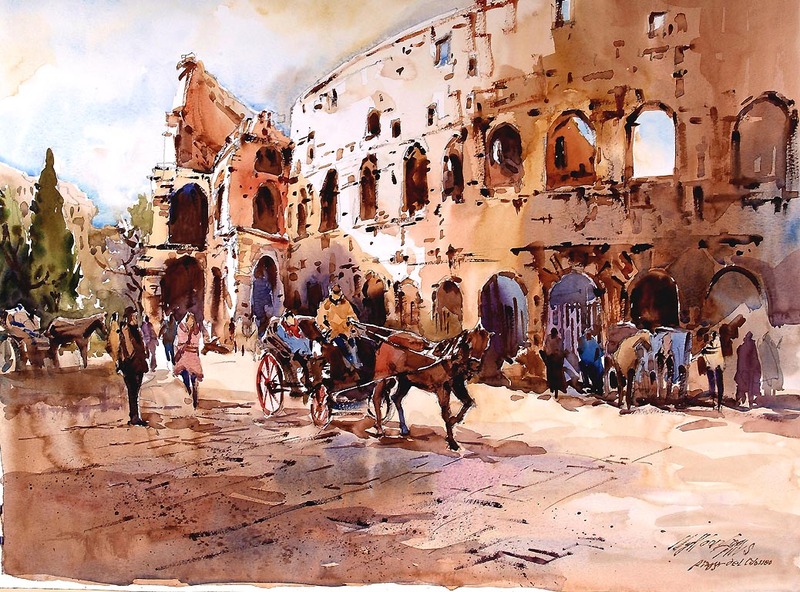 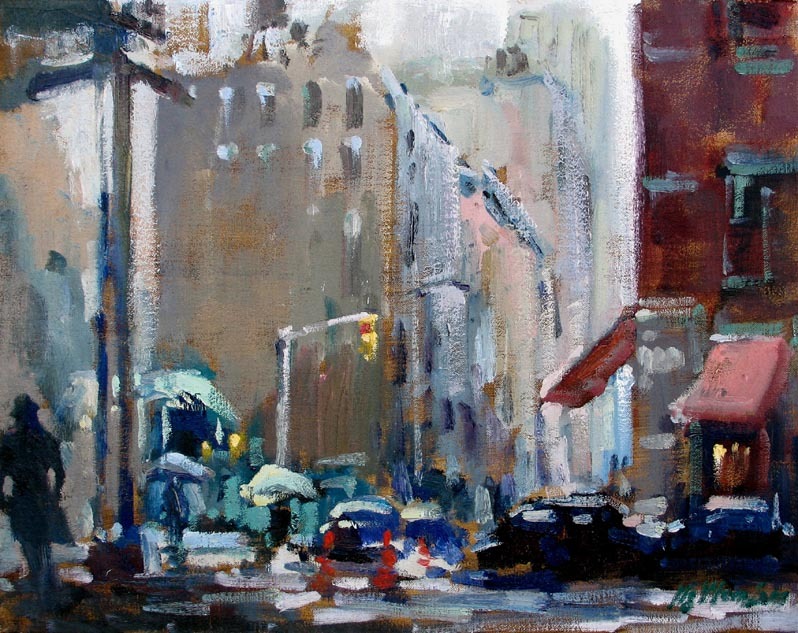 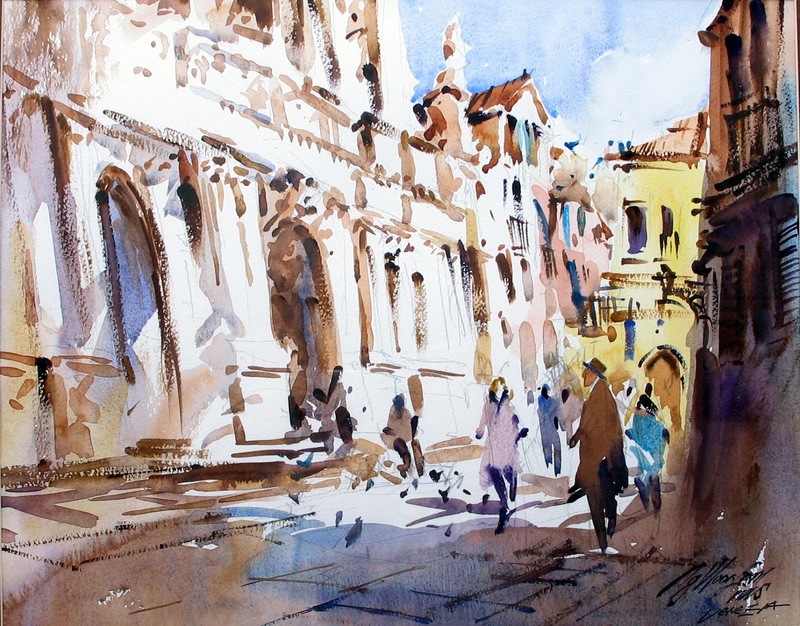 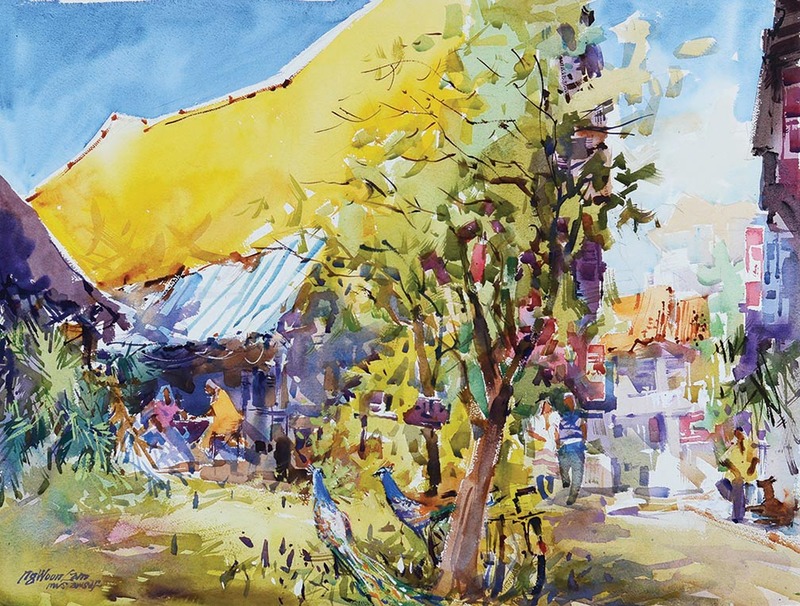 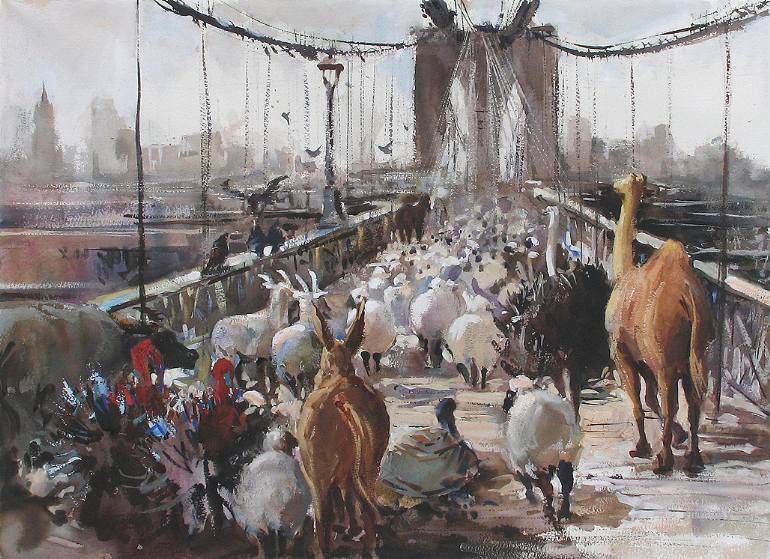 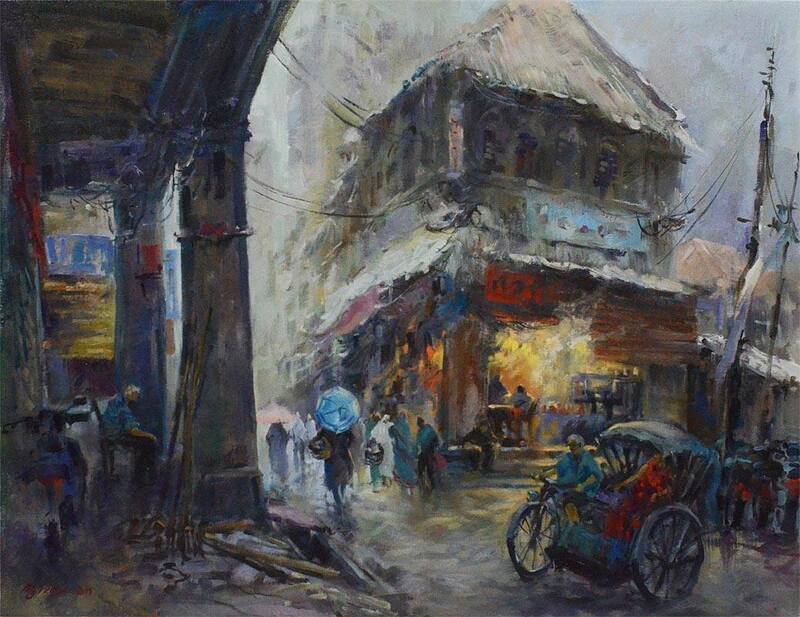 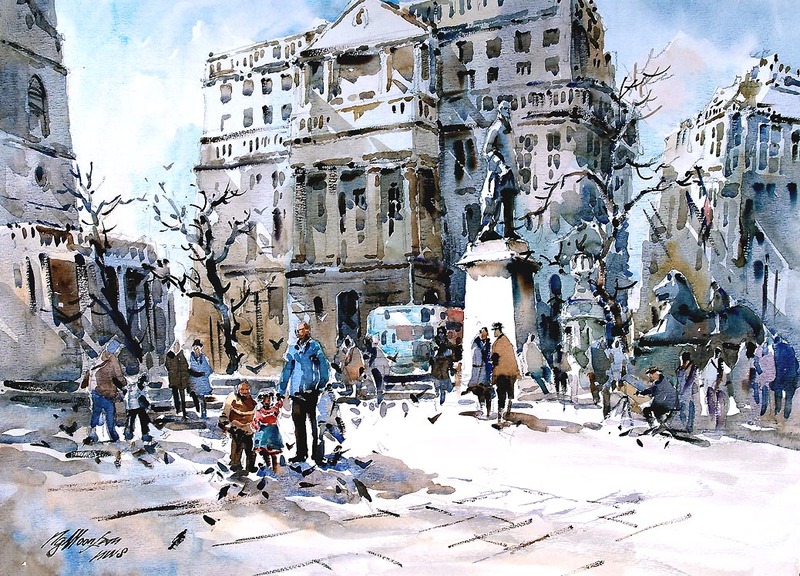 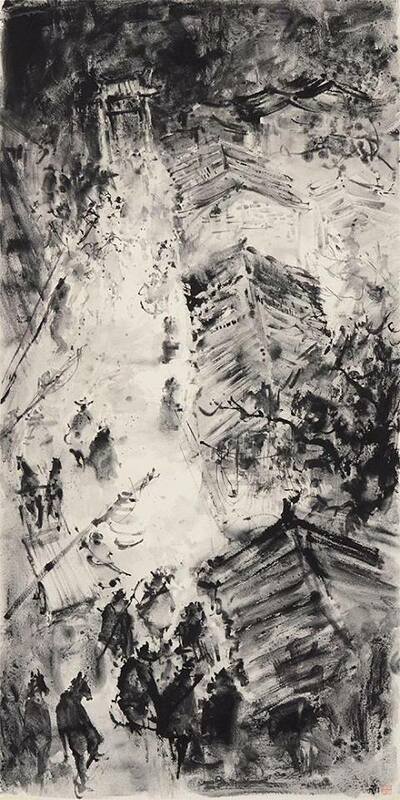 He is now a signature member of National Watercolor Society (NWS) of US. 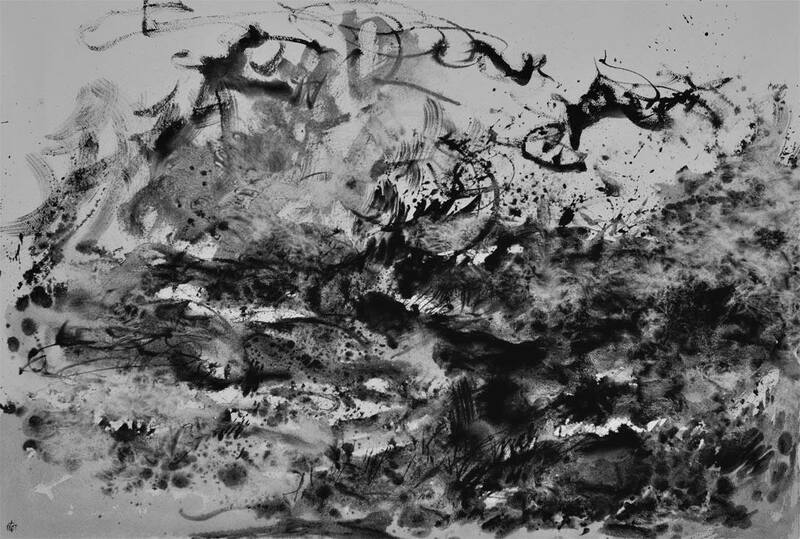 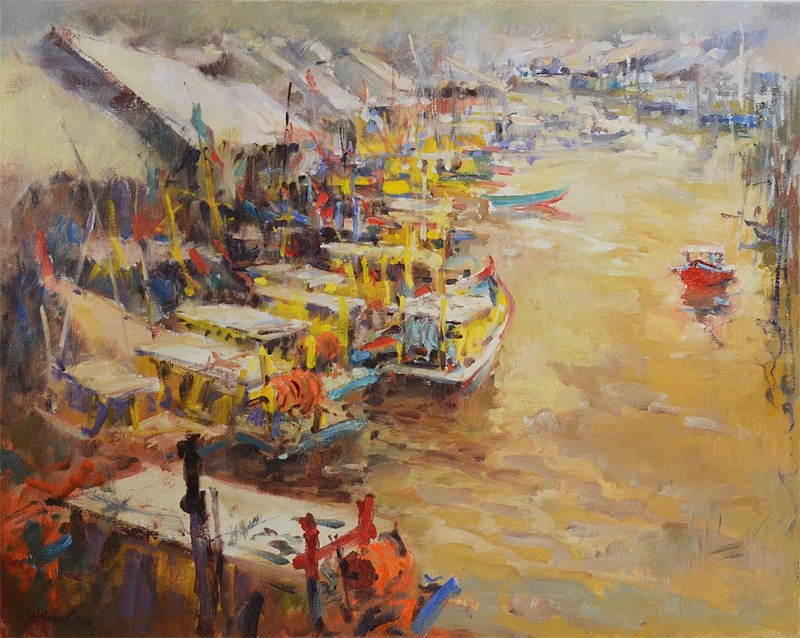 His works have numerous national and international awards and been featured in leading art publications e.g. 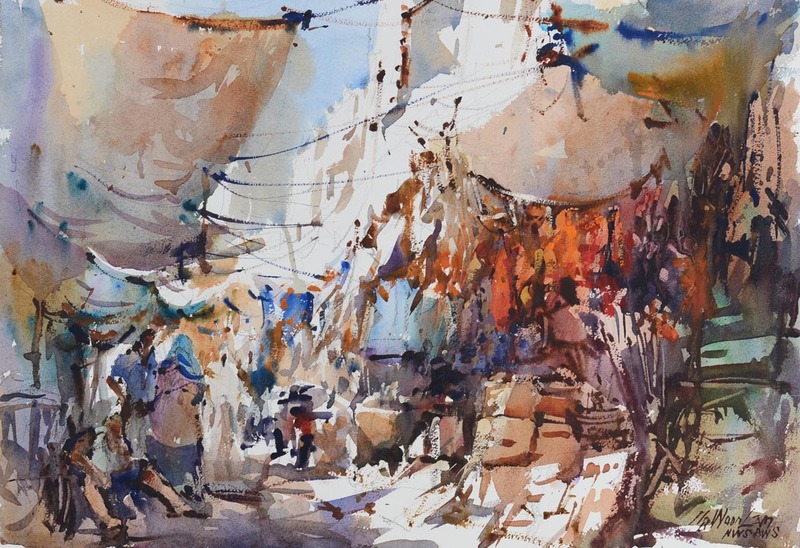 The Artist's Magazine, Splash and Watercolor Magic. 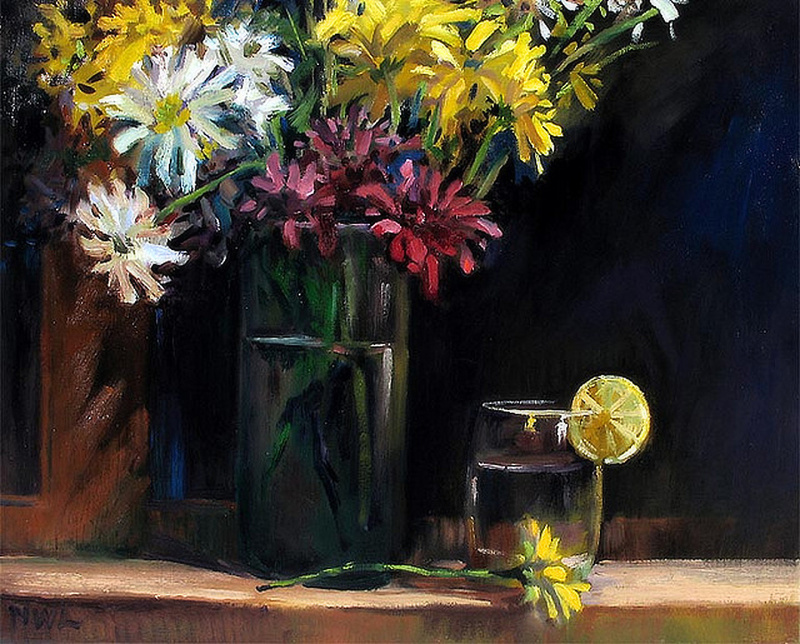 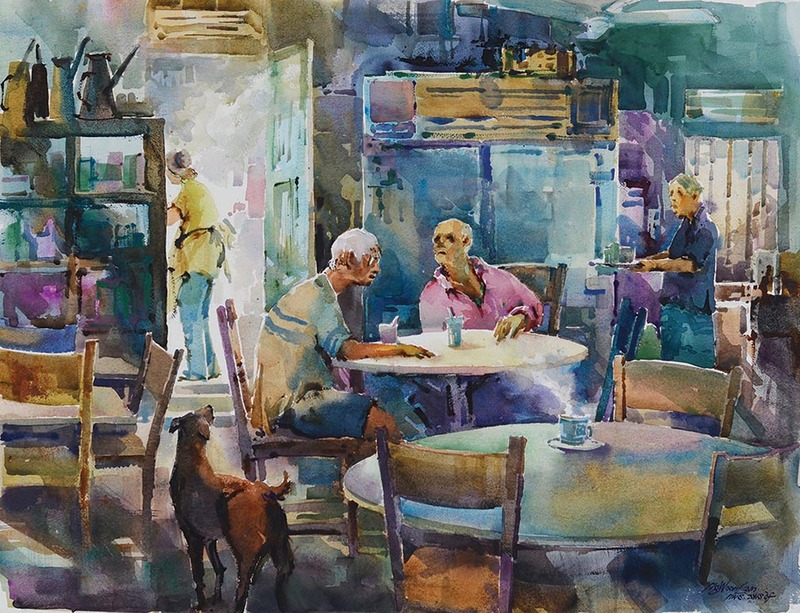 His paintings were selected into The American Watercolor Society's International Juried Show and The Oil Painters of America. 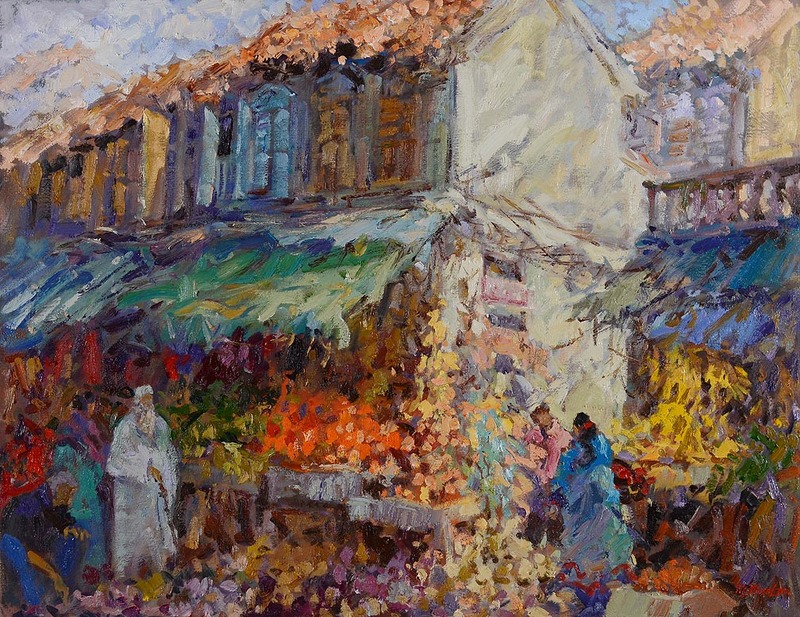 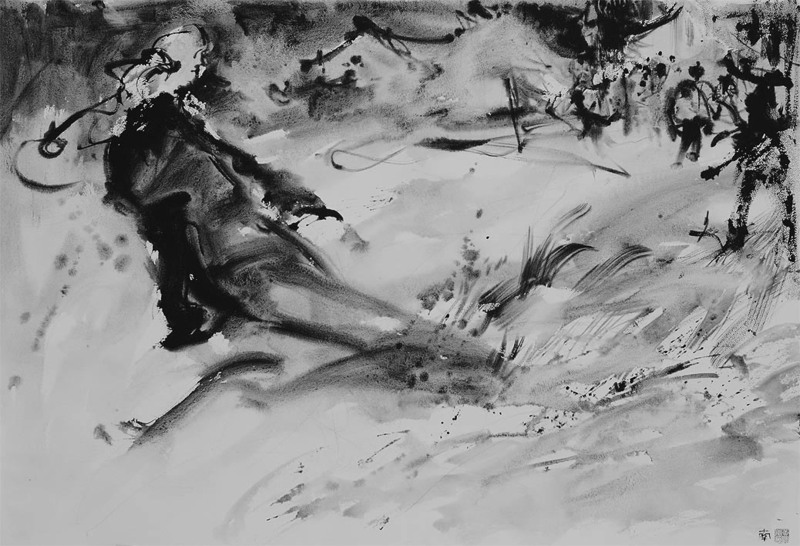 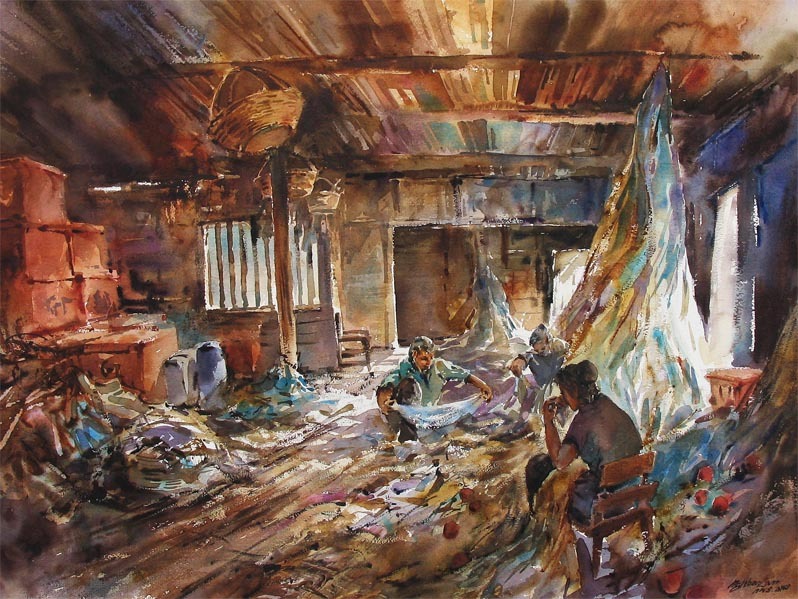 His most recent article, 'seeing with fresh eyes' is published in International Artist, April 2007. 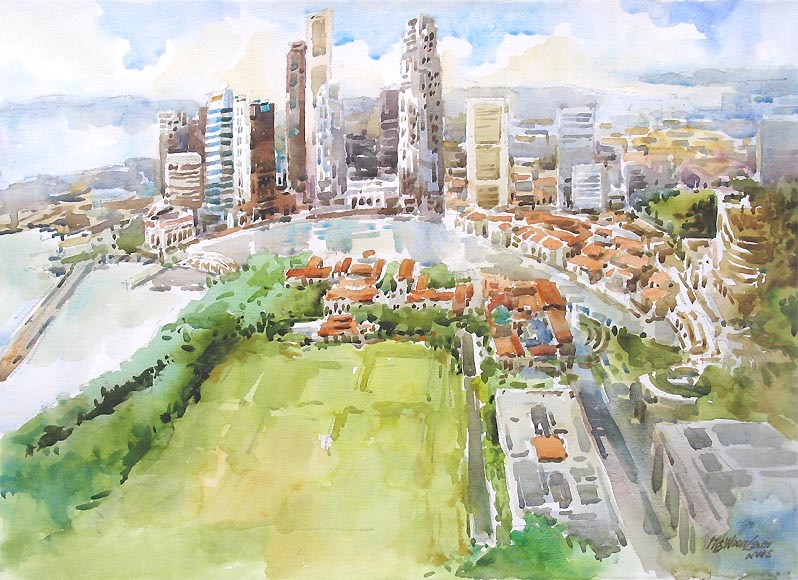 Assistant Professor @ Art Design and Media School, Nanyang Technological University, 2011 to current. 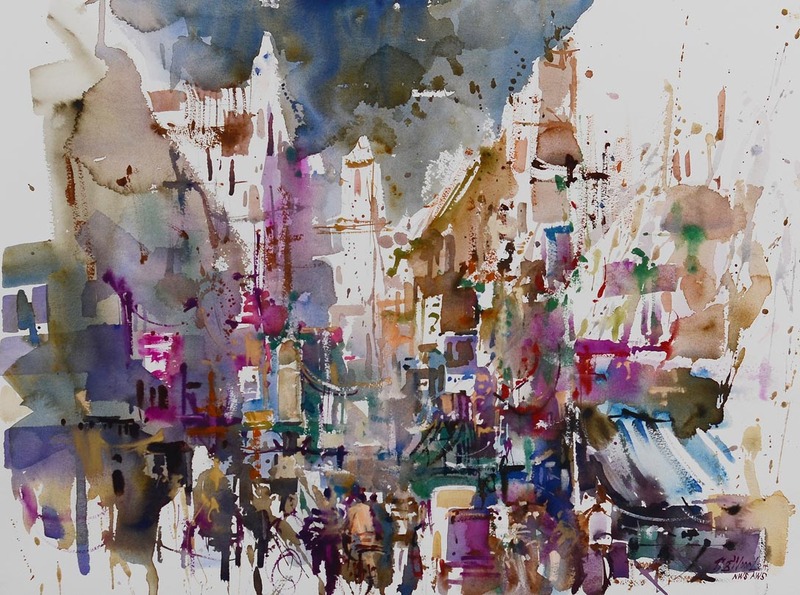 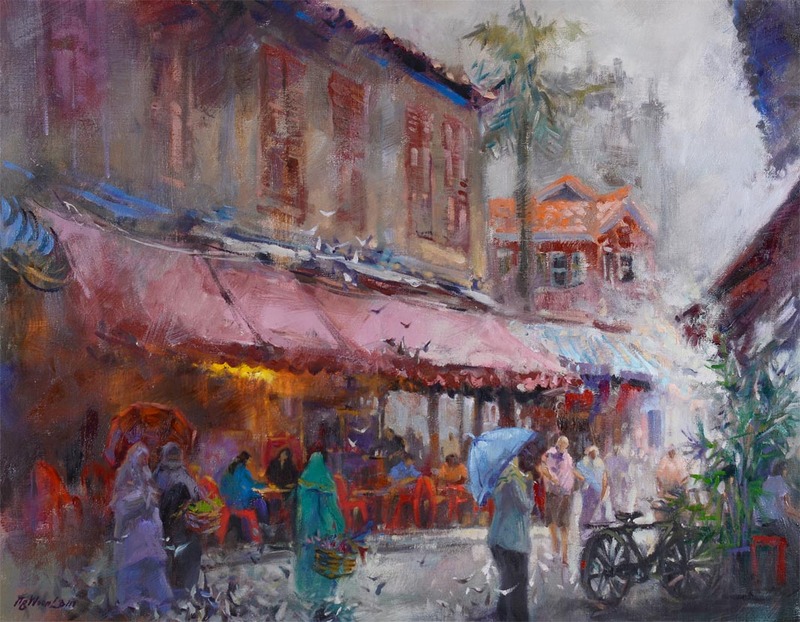 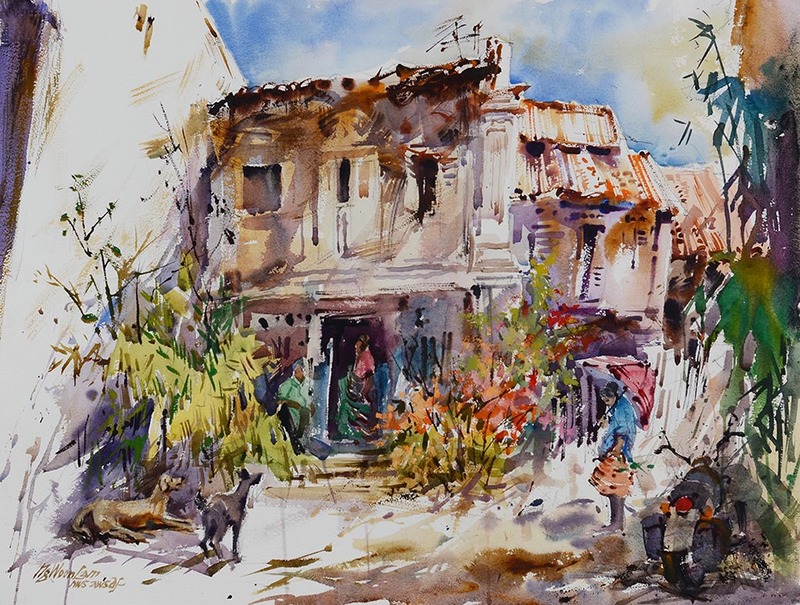 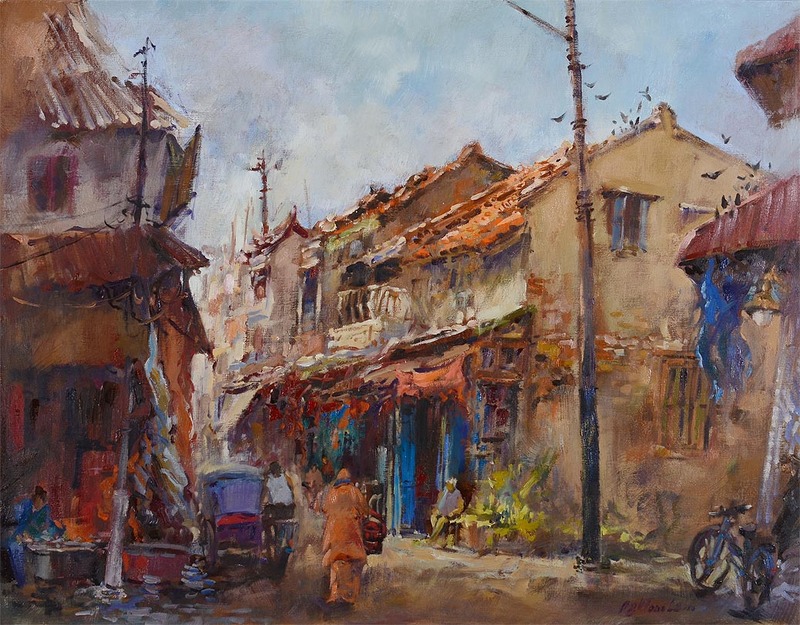 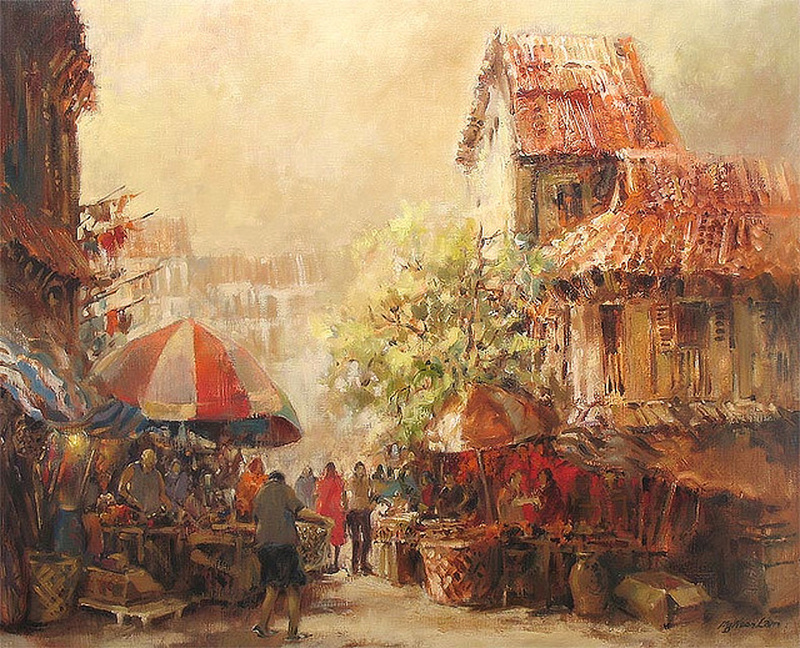 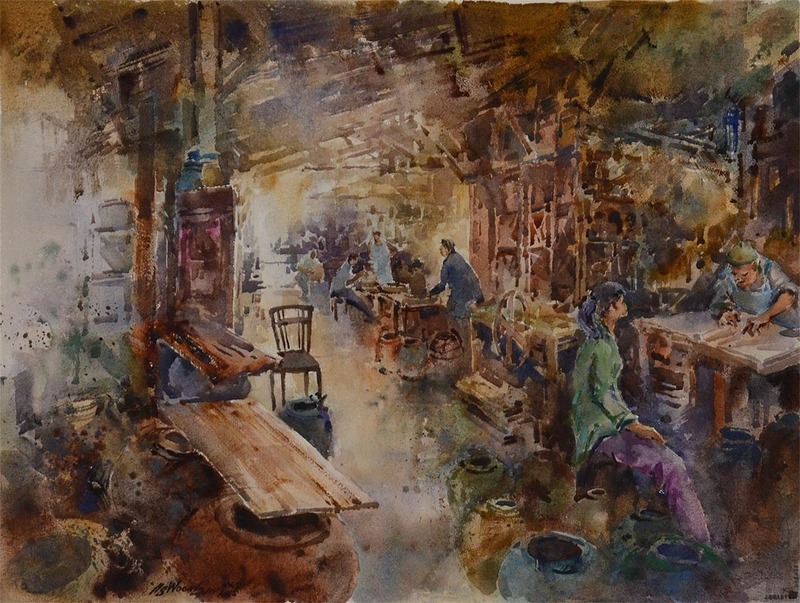 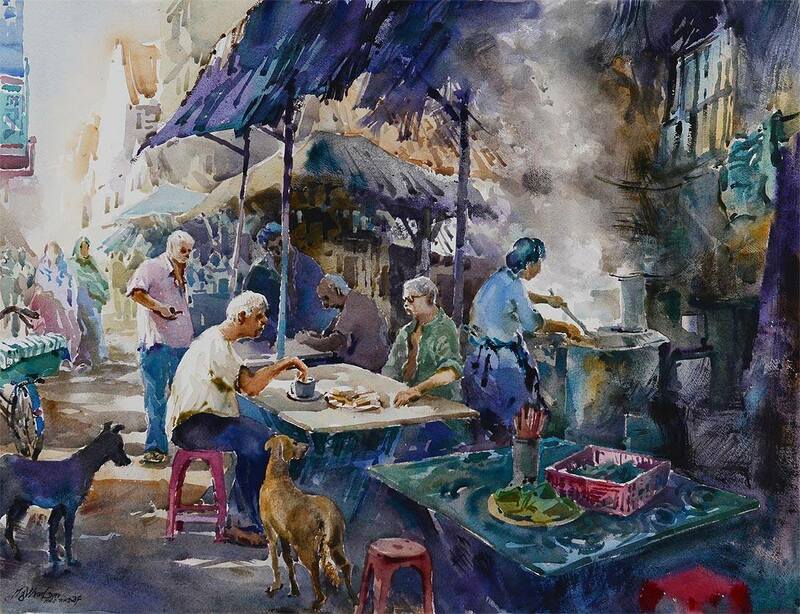 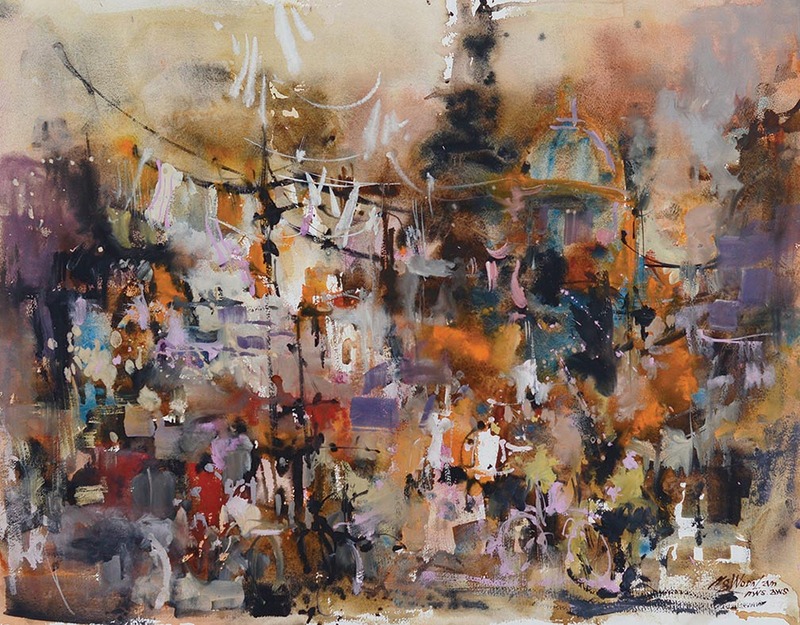 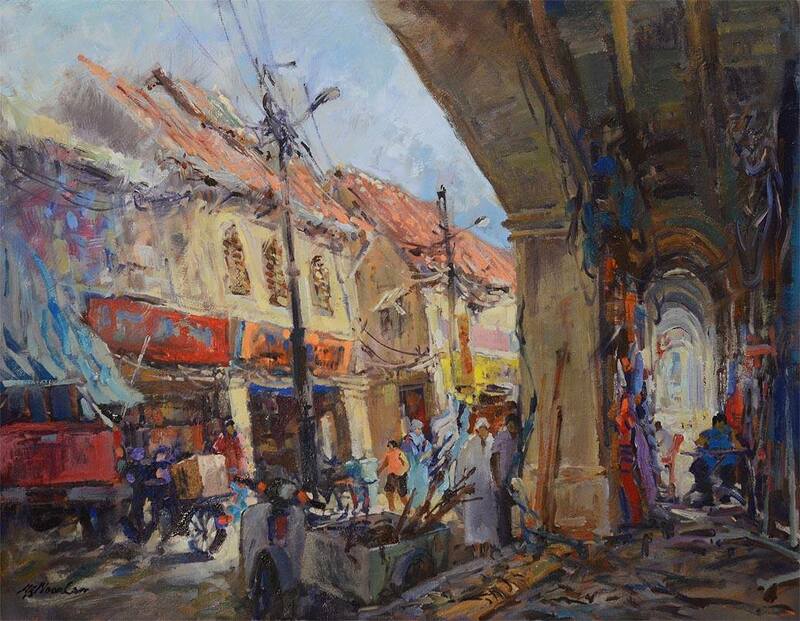 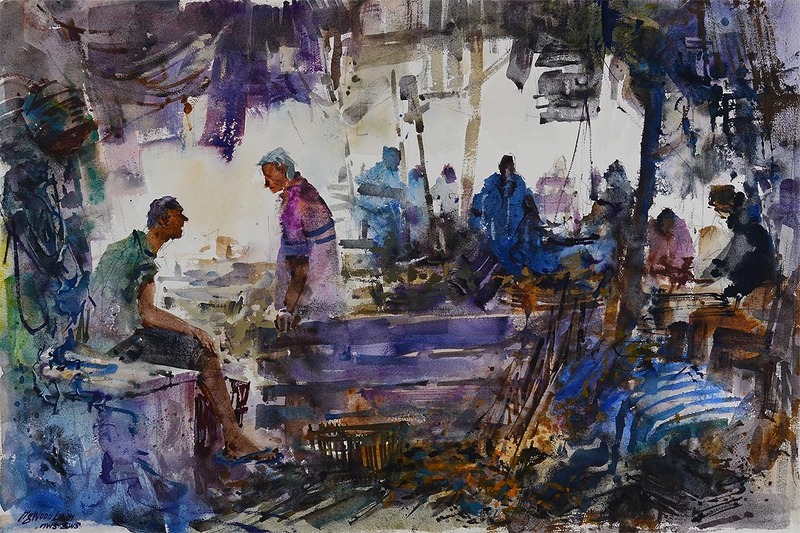 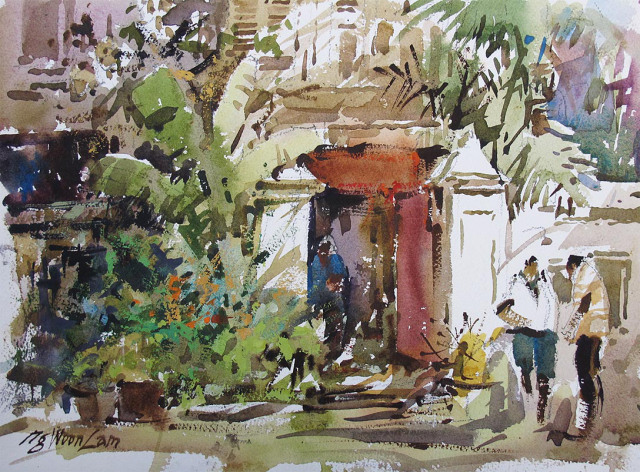 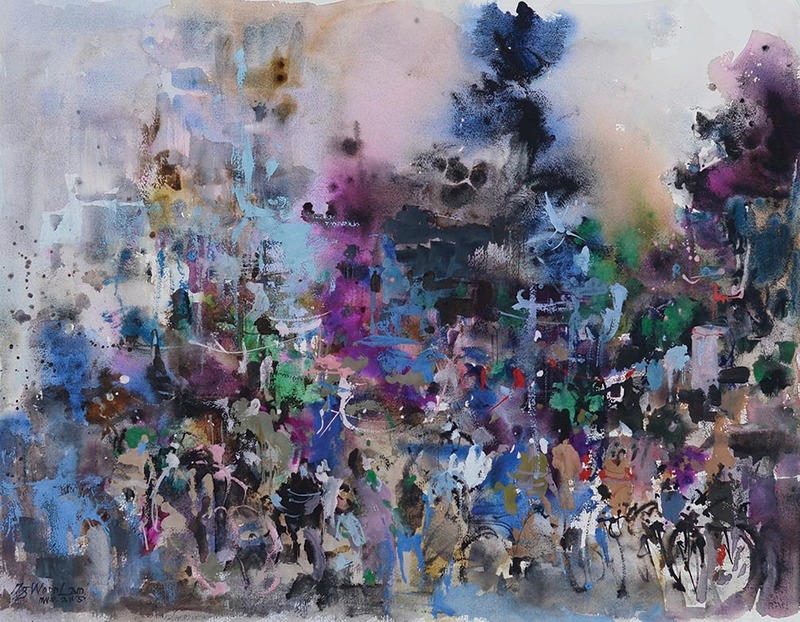 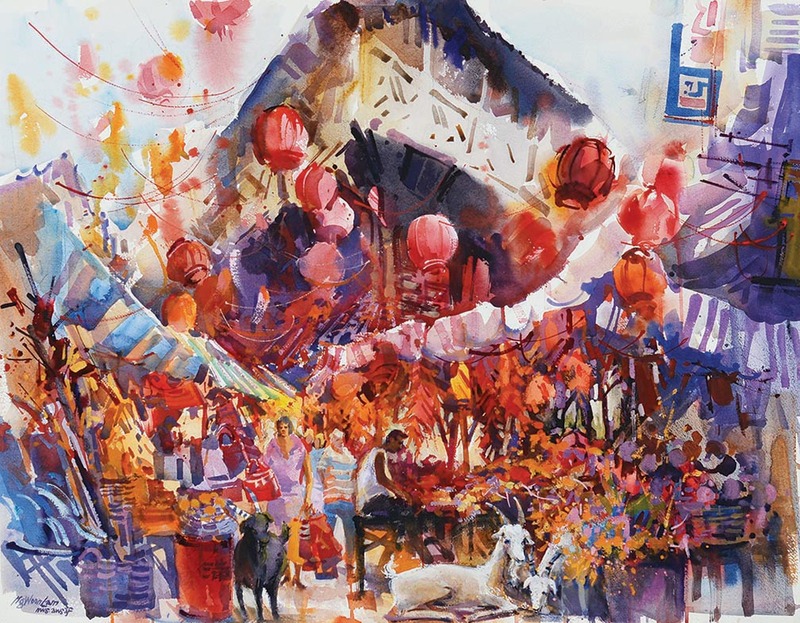 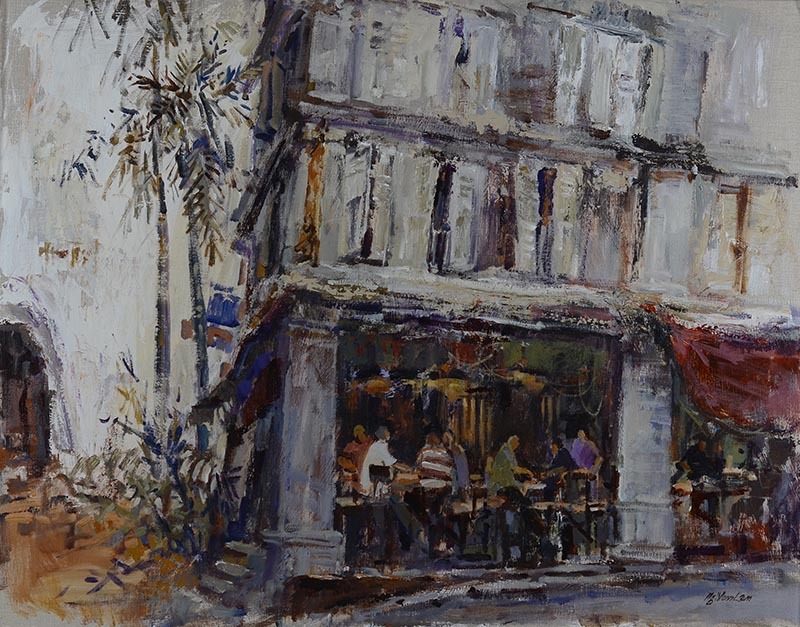 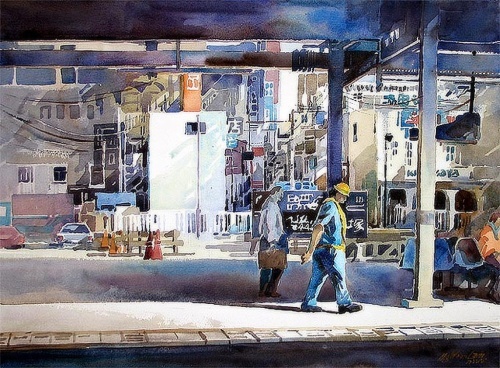 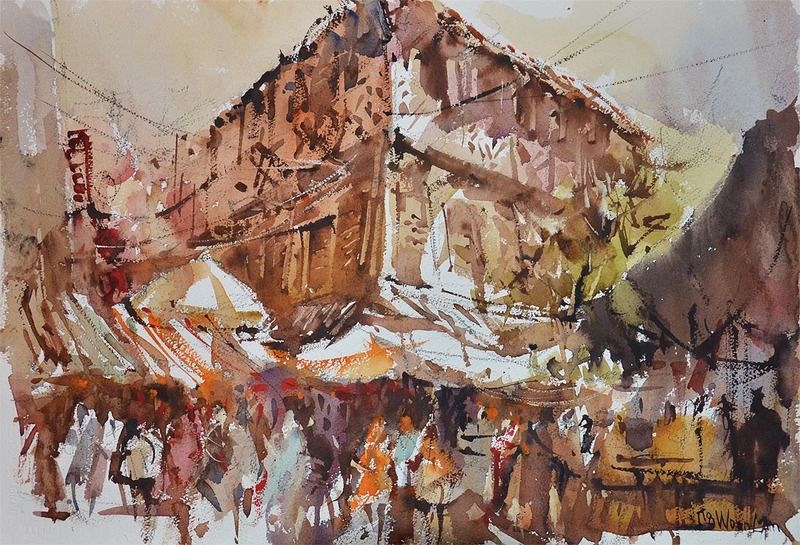 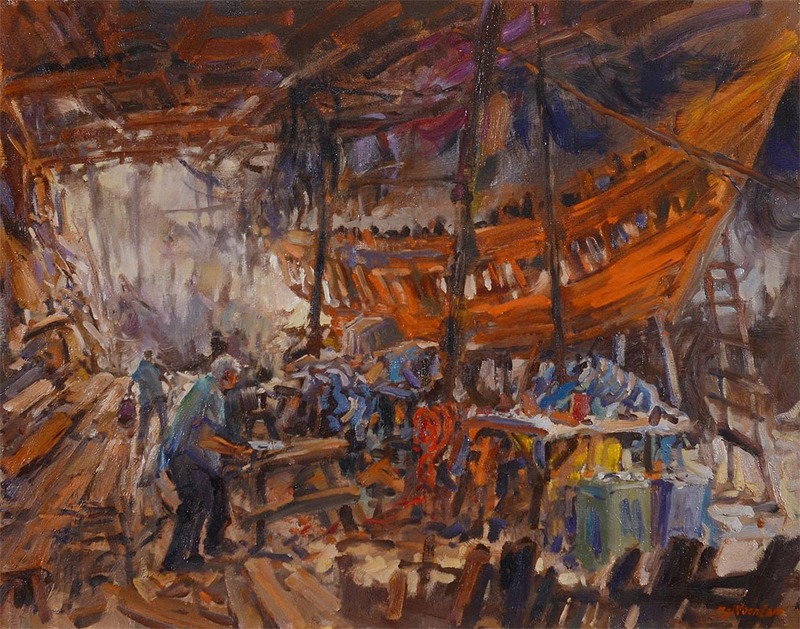 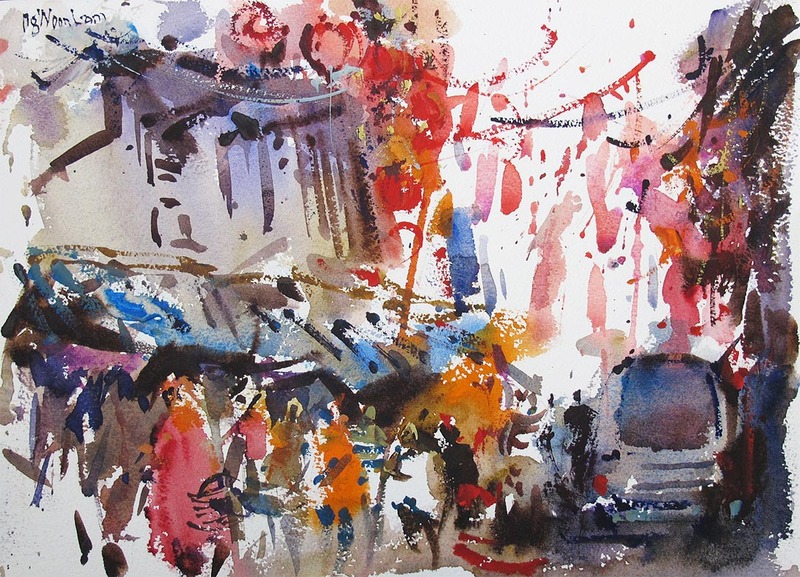 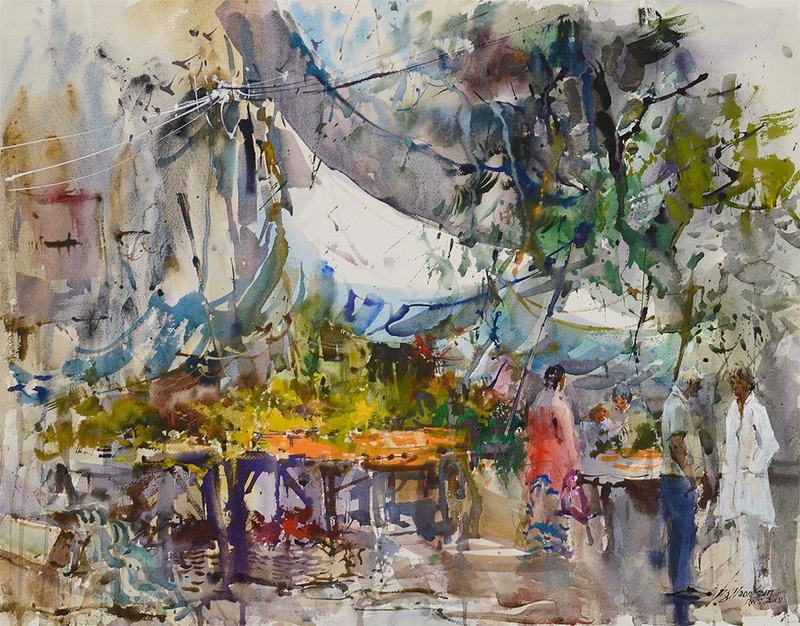 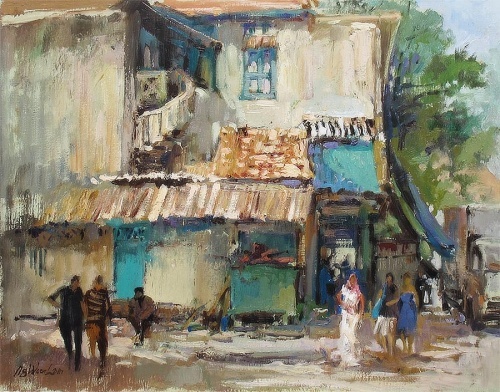 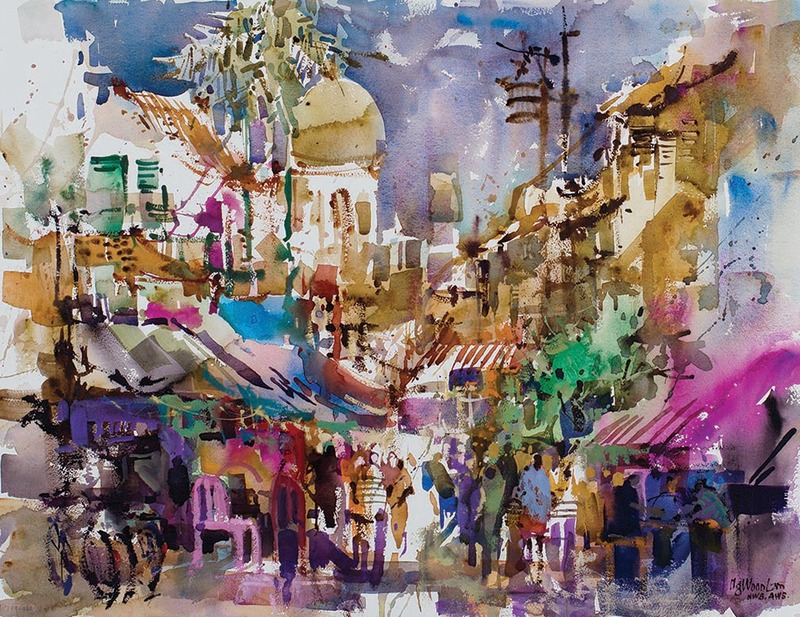 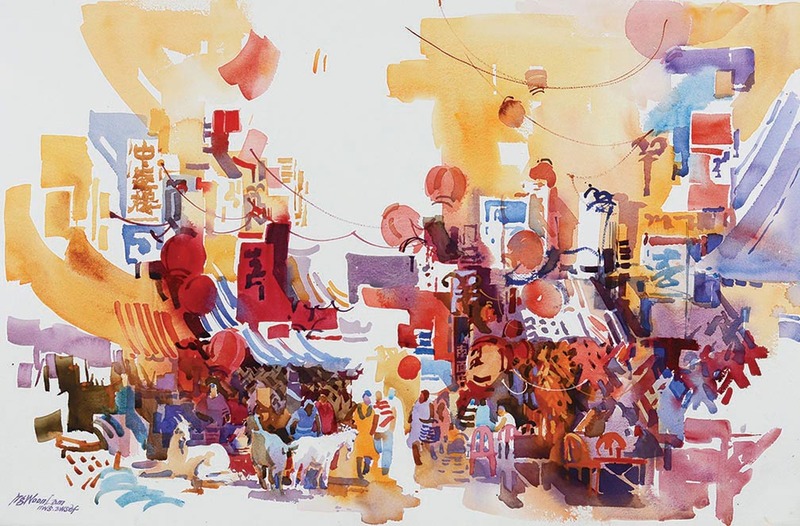 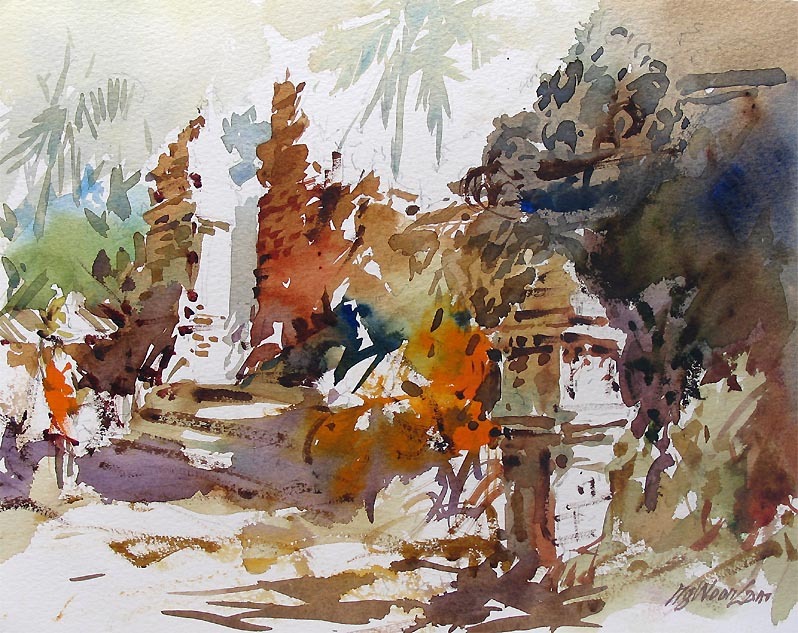 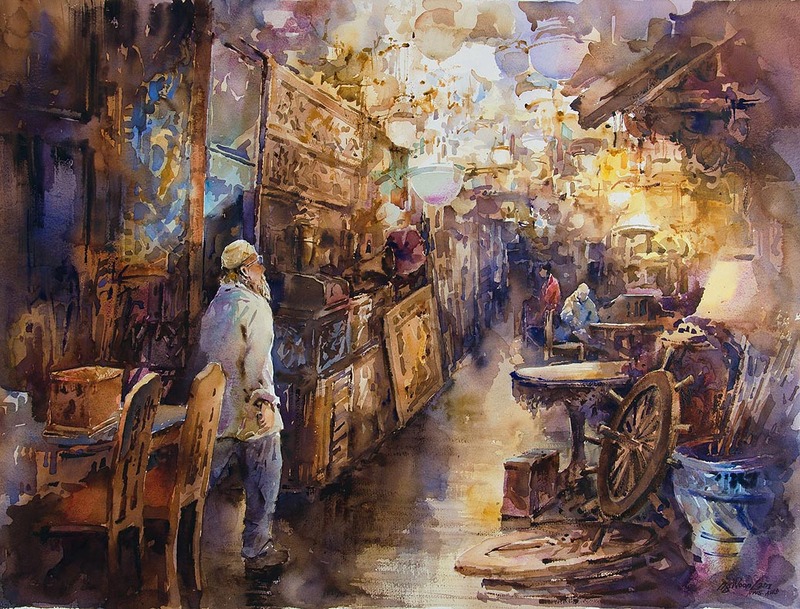 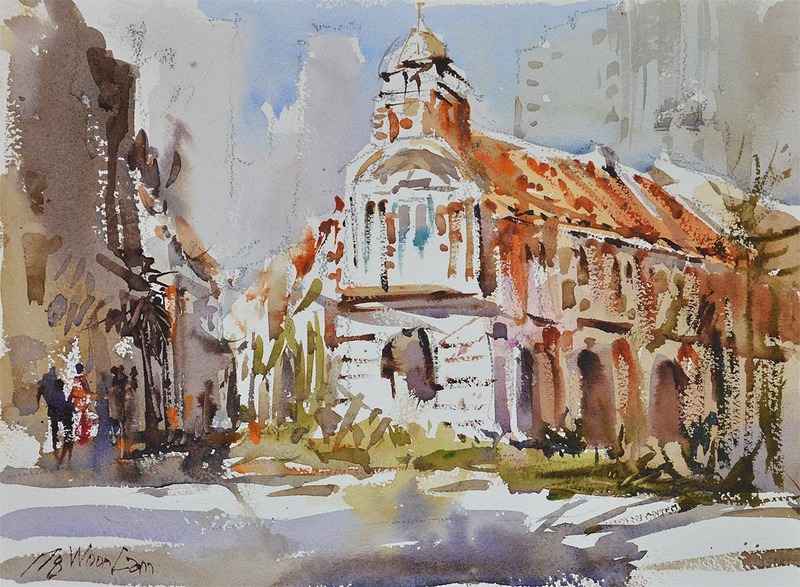 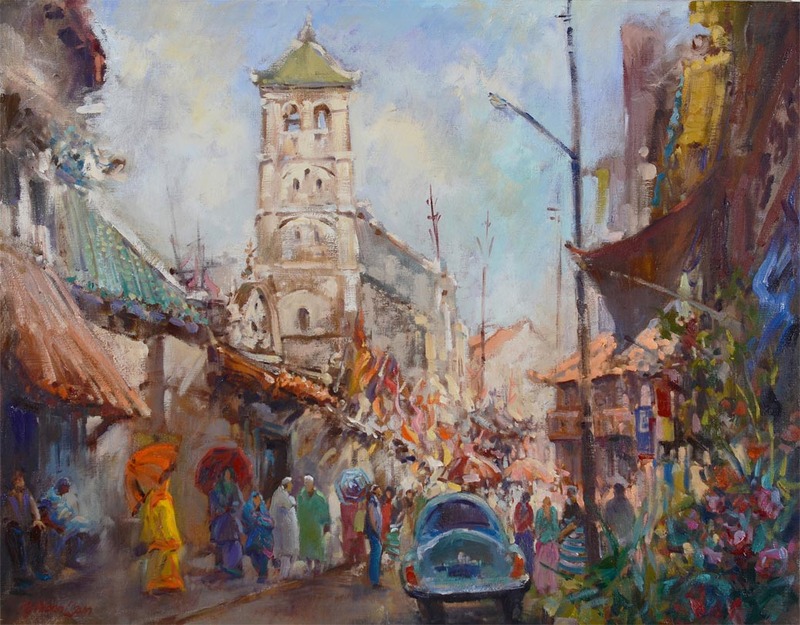 Member of Singapore Watercolour Society and Singapore Art Society. 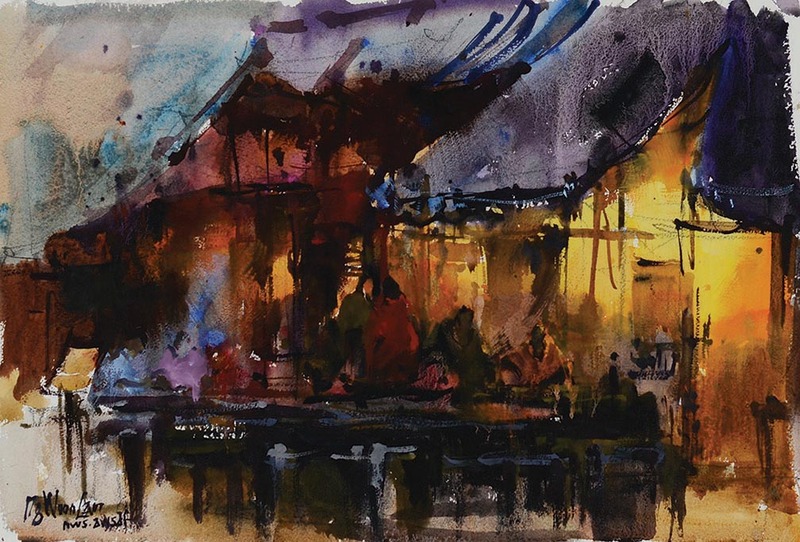 Article - 'Sign of Life' in Watercolor Magic Autumn 2002 issue. 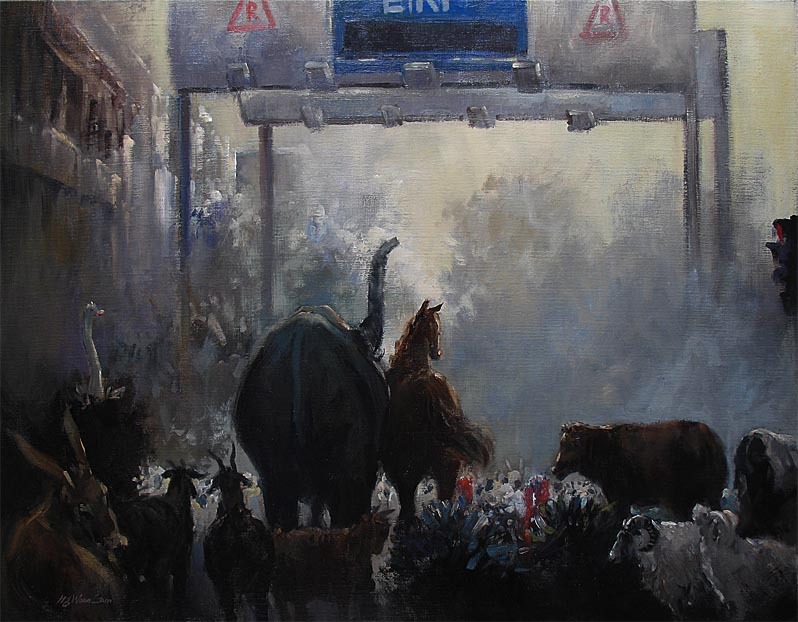 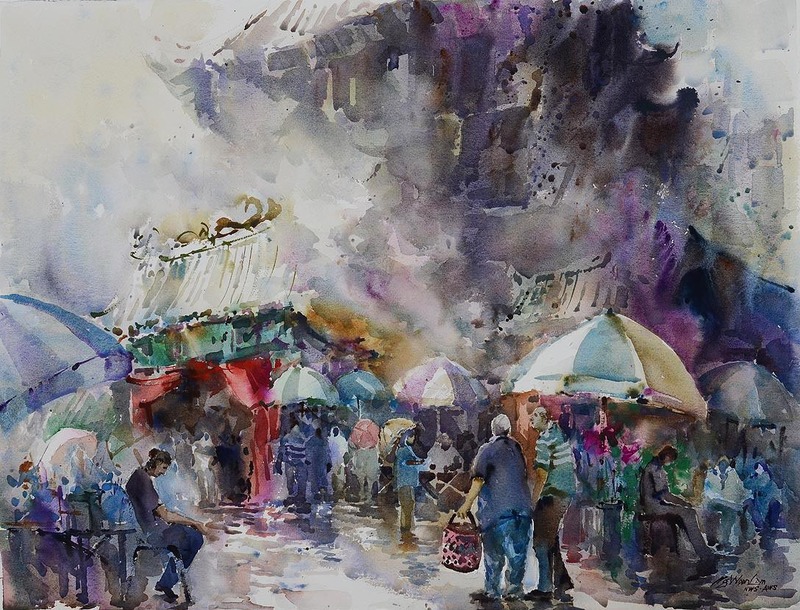 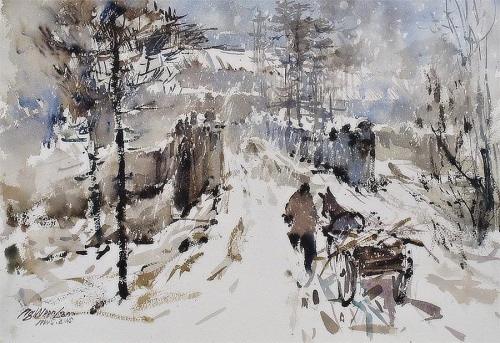 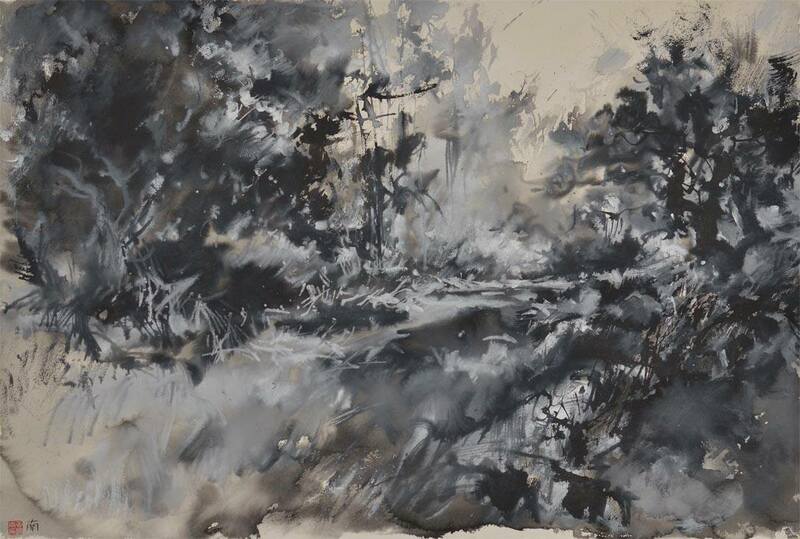 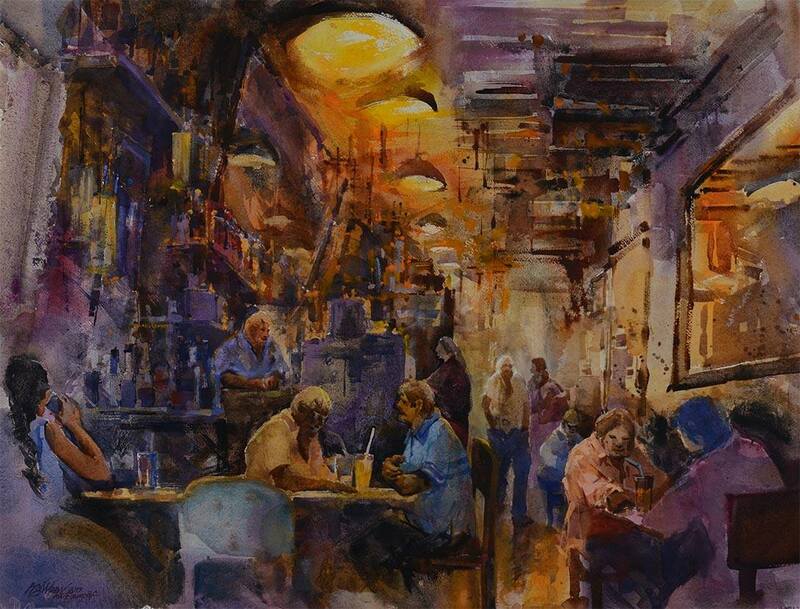 2014 - American Watercolor Society 147th International Juried Show 2014, AWS Bronze Medal of Honor. 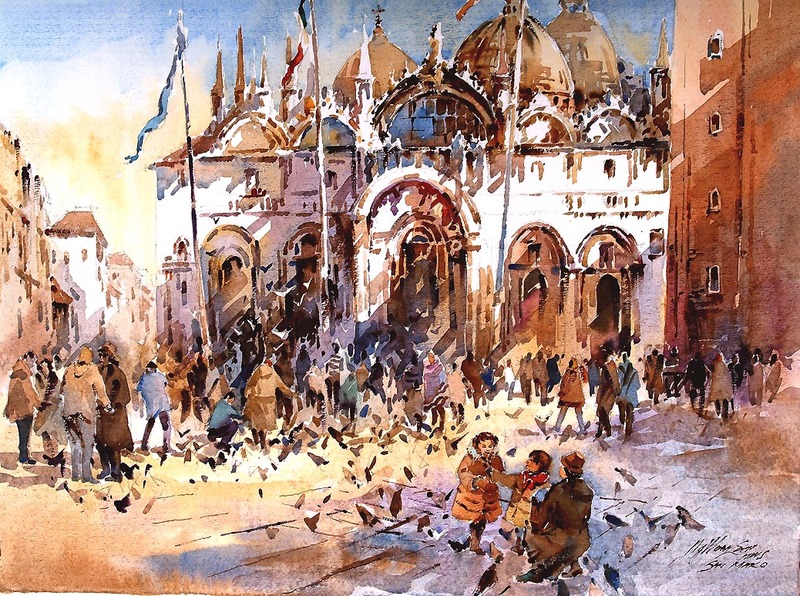 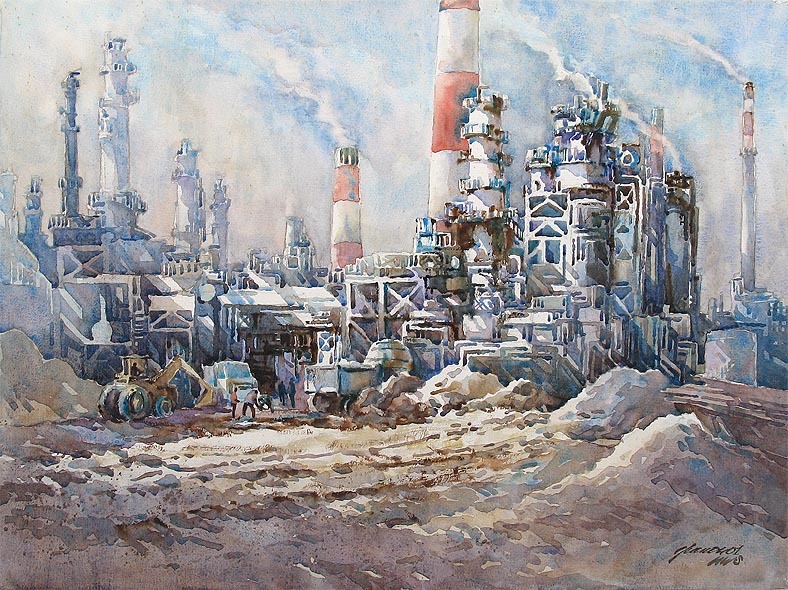 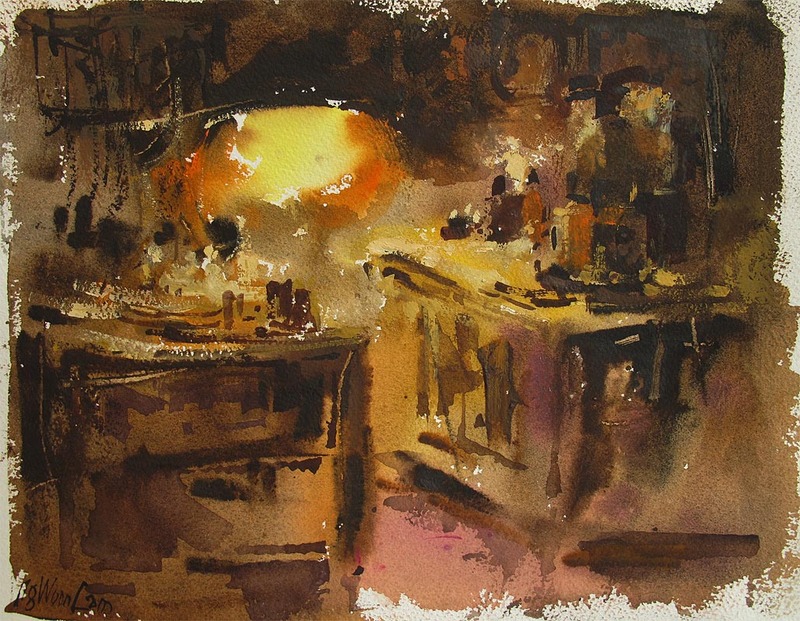 2009 - American Watercolor Society 142nd International Juried Show 2009, AWS Bronze Medal of Honor. 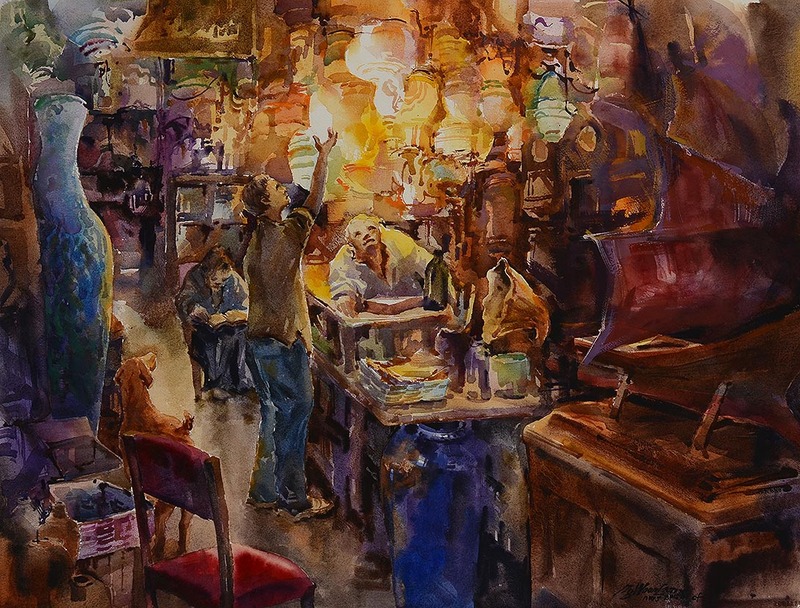 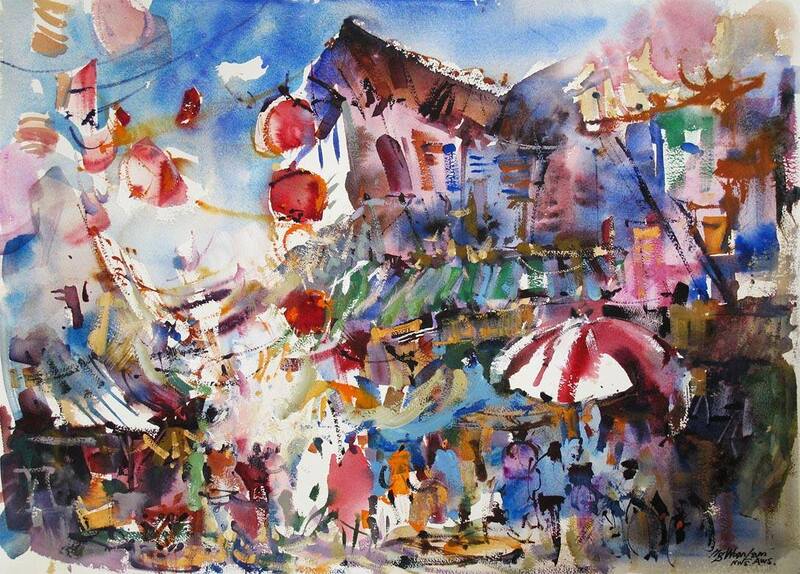 2002 - National Watercolor Society 82nd International Juried Show Philadelphia Water Color Society Award. 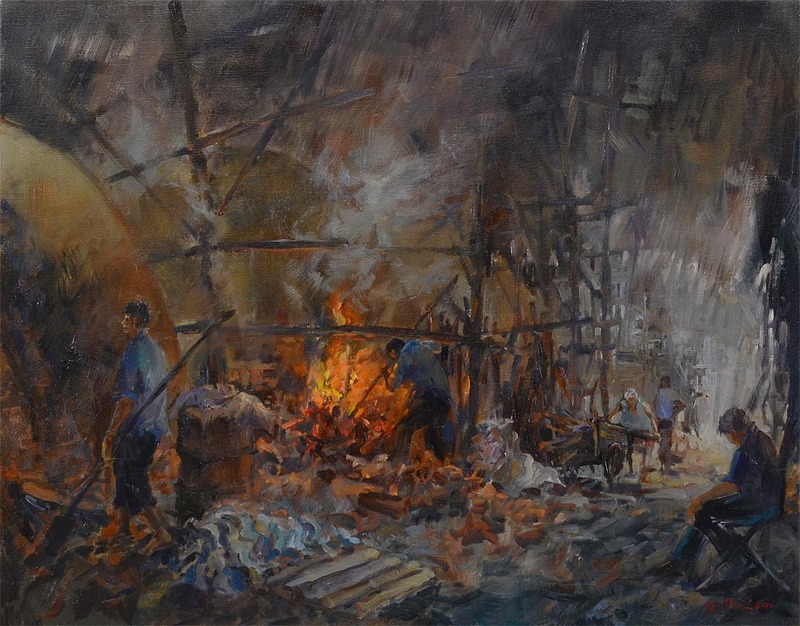 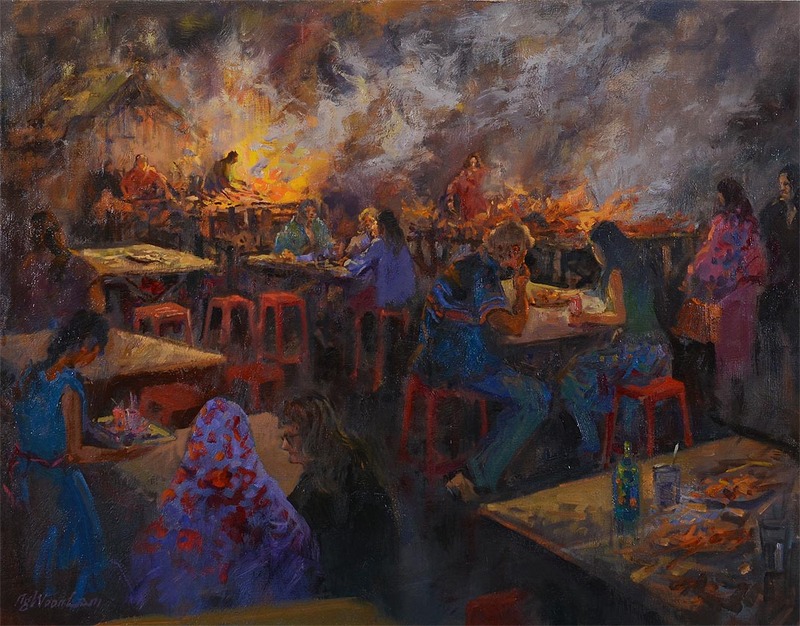 Singapore Art Society 2007 National Open Juried Show 1st Prize in Western Representational Painting. 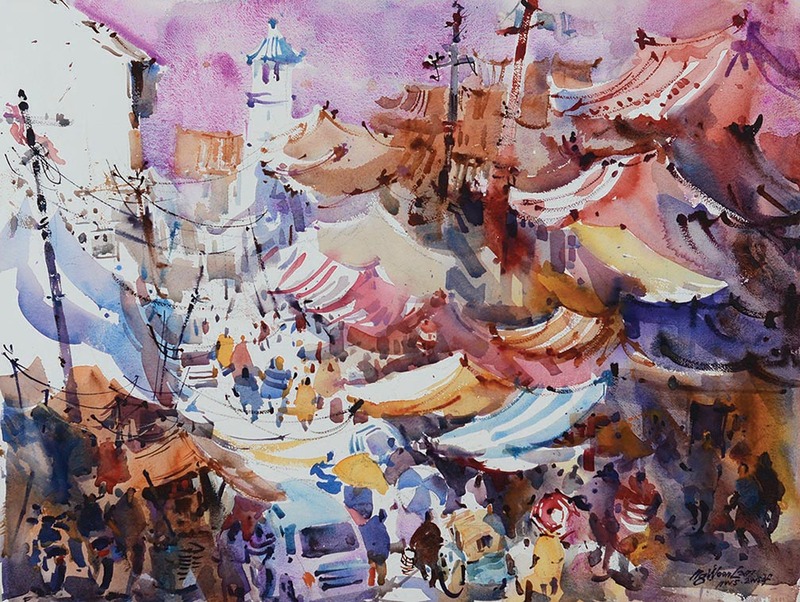 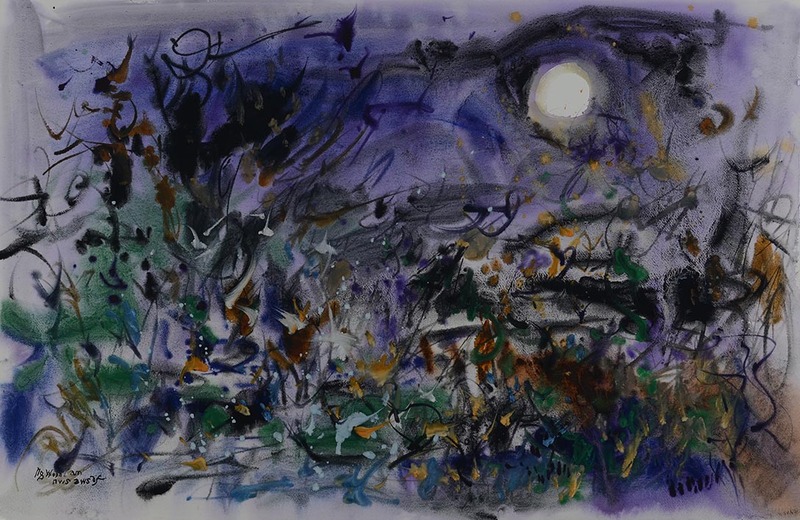 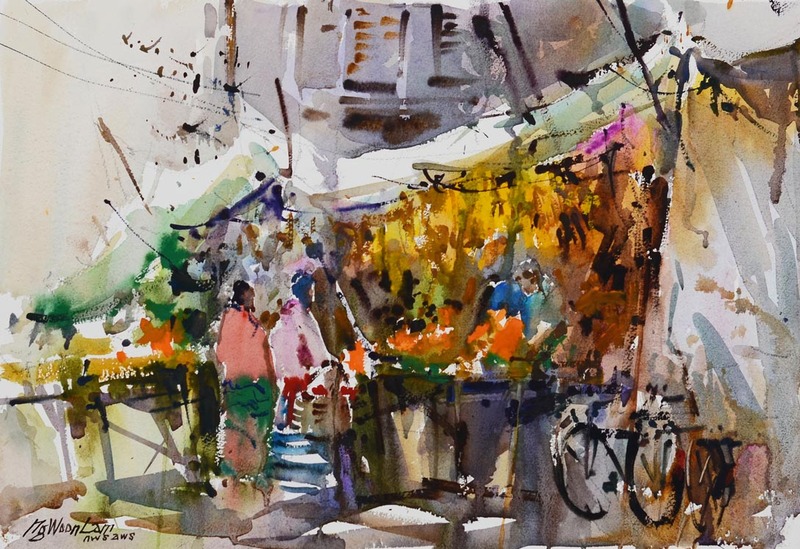 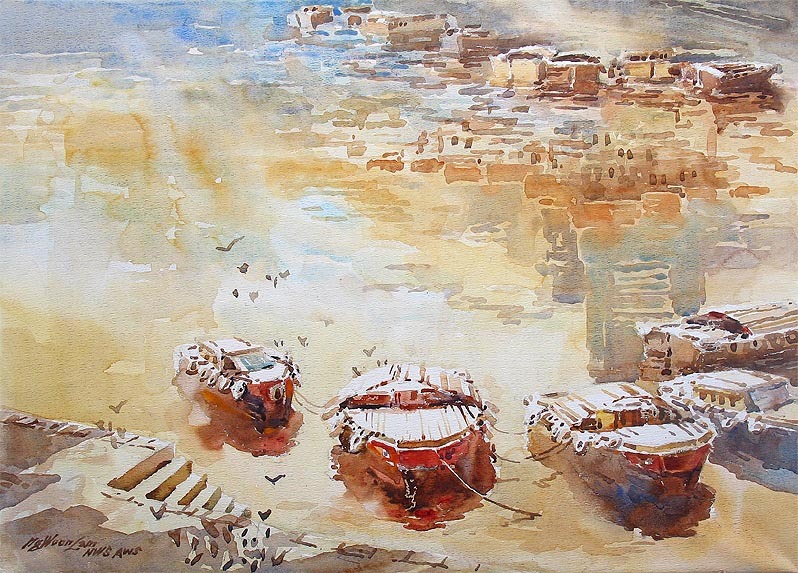 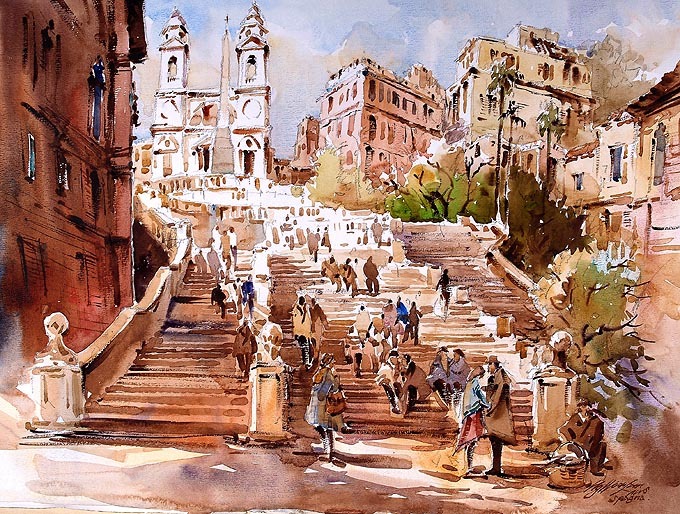 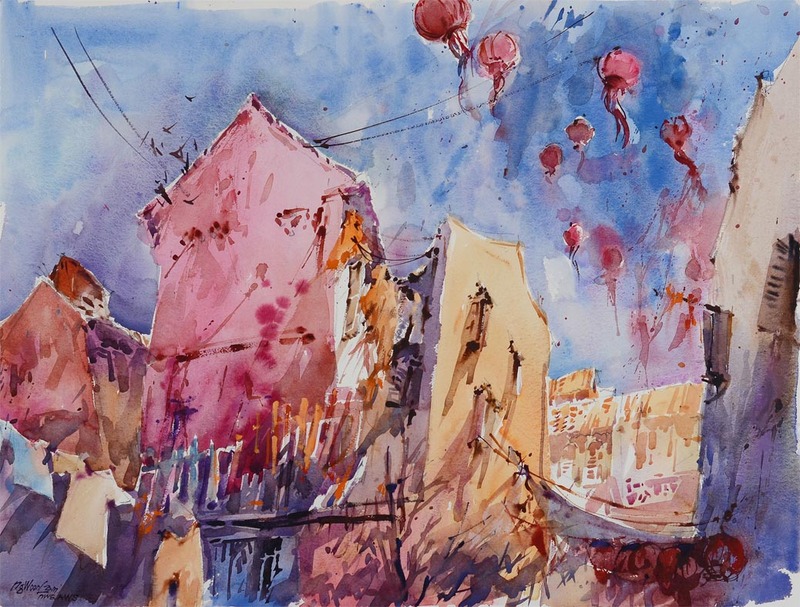 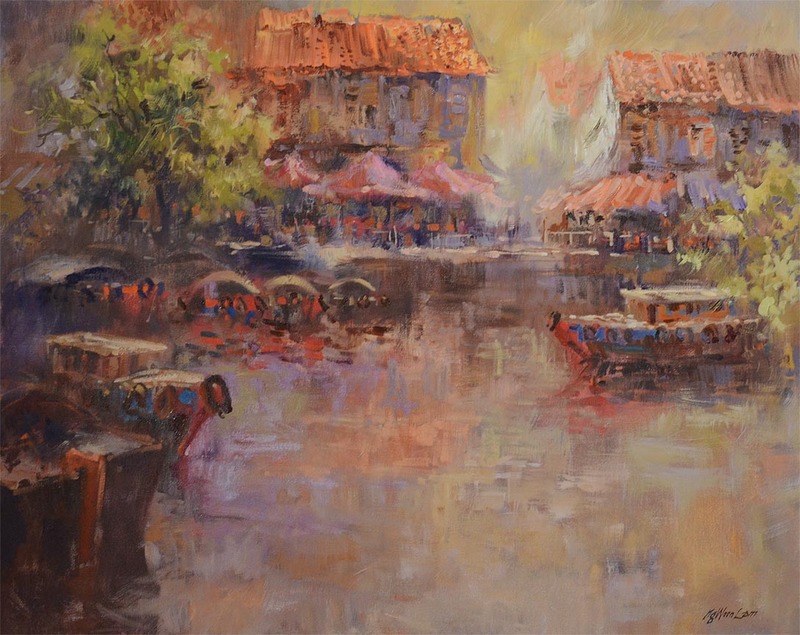 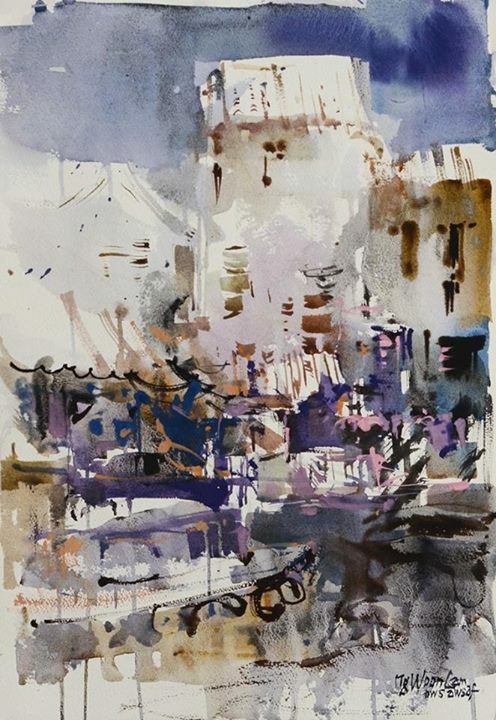 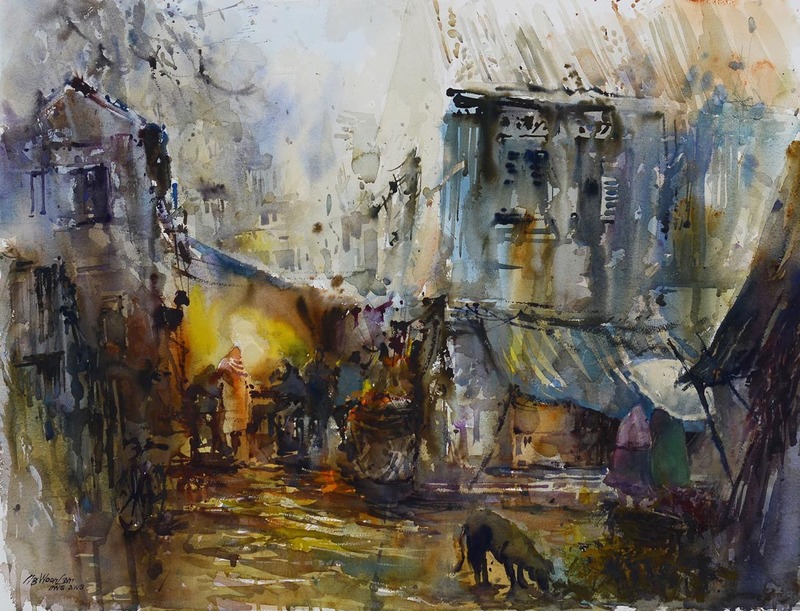 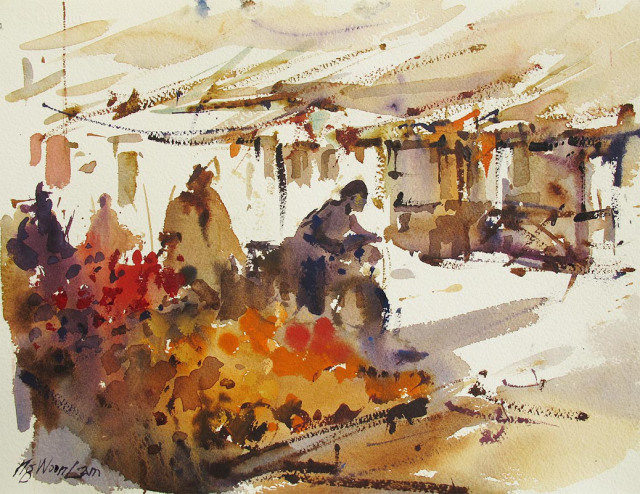 He contributed to major art journals: Watercolor Magic, The Artist's Magazine and International Artist His watercolor artwork Trafalgar was included in Watercolor Splash 8 New Discovery.